This Is Your Brain in Deep Space: Could Cosmic Rays Threaten Mars Missions? NASA aims to get astronauts to the vicinity of Mars by the mid-2030s. Radiation exposure during the long roundtrip trek could damage astronauts' brains, new research suggests. Mice zapped with cosmic rays can incur brain damage, suggesting that astronauts' mental performance could suffer over time on deep-space missions to Mars and beyond, researchers say. "There is now cause for concern that cosmic rays can lead to cognitive deficiencies, and this effect is likely to occur in humans as well as rodents," study co-author Charles Limoli, a radiation biologist and neuroscientist at the University of California, Irvine, told Space.com. However, research on the effects of space radiation focuses mostly on high-energy forms of light, such as X-rays and gamma-rays. But a major potential danger to astronauts that has not yet been studied in depth are galactic cosmic rays — massive, high-speed, electrically charged particles emerging from every direction in space. Galactic cosmic rays are caused mostly by exploding stars known as supernovas, and can easily penetrate spacecraft and human skulls. Astronauts aboard the International Space Station are safe from galactic cosmic rays because they are still protected by the Earth's magnetosphere, which reaches about 35,000 miles (56,000 kilometers) above Earth's surface on the day side. However, astronauts on future deep-space missions farther away from Earth — to Mars or the asteroid belt, for example — face peril from this space radiation. "Galactic cosmic rays don't reach the surface of the Earth because the planet's magnetosphere protects us," Limoli said. "It's one reason why we have life on Earth." In experiments, the scientists bombarded mice at the NASA Space Radiation Laboratory at Brookhaven National Laboratory in New York with beams of the kinds of electrically charged particles that make up galactic cosmic rays — oxygen and titanium ions accelerated "to two-thirds the speed of light," Limoli said. "I wasn't anticipating such extensive degradation [in response] to relatively small doses of charged particles," Limoli said. "The magnitude of the effect was surprising." Dendrite loss is linked to mental decline associated with Alzheimer's and other diseases. In tests of learning and memory in which the mice were shown new objects placed in familiar settings, irradiated mice lacked curiosity, were less active in new situations and became confused more easily. If similar changes were to happen in astronauts, it might hinder their ability to respond to unexpected situations or recall information, the researchers said. 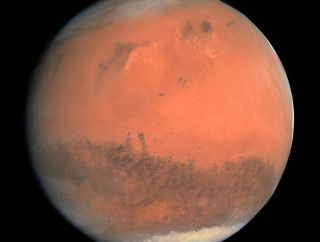 Although mental deficits in astronauts from space radiation might take months to manifest, the three years or so required for a round-trip mission to Mars is long enough for such problems to develop, Limoli said. "Astronauts are expected to do a lot of multitasking, to do experiments, to keep a lot of things straight — and these experiments suggest they might experience performance deficits that might compromise mission activities, and may also face risks to their cognitive health once they return to Earth," Limoli said. "Specifically, what might go wrong is impossible to say, since no one's gone out there yet. I don't think it'd get to the level where astronauts would crash ships because of this, but they might push the wrong button and ruin an experiment." Moreover, "there is no sign these impairments ever get better," Limoli said. "I would hesitate before using the word 'permanent,' but there is no indication at this time that they do recover." It remains uncertain if there is anything that can be done to prevent or treat this damage. "NASA is funding research from myself and others to try to develop compounds that can alleviate the effects of radiation on the brain," Limoli said. "Also, if astronauts engage in activities that actively stimulate cognitive function, that might also help mental performance." A partial solution might involve increasing shielding on spaceships in areas where astronauts rest and sleep. "We are working on ways to minimize this damage in space, and should not let these results discourage our attempts to embark on future deep-space missions," Limoli said. In the future, the researchers plan to explore the effects of a broader range of galactic cosmic rays to create more accurate simulations of what goes on in space. They would also like to see what happens to mice more than six weeks after they're exposed to cosmic rays. "The brain is a complicated system — there are many things galactic cosmic rays are doing in the brain that we have yet to discover or understand," Limoli said. The scientists detailed their findings online May 1 in the journal Science Advances.